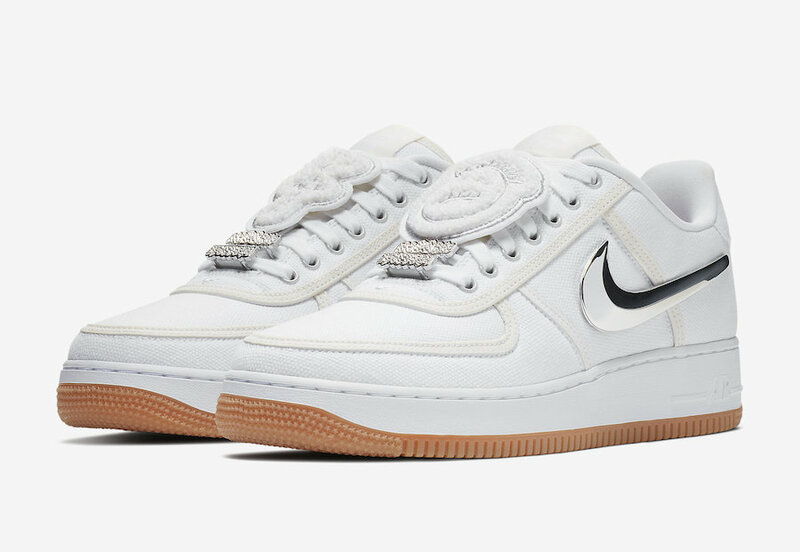 Travis Scott’s Nike Air Force 1 is the last to become widely available from Nike’s AF100 Collection that originally debuted at ComplexCon. On stage, the icon shines bright, reflecting all the hustle and hardwork he’s dedicated to his craft. His exuberant energy comes through in the form of multi-color reflective detailing, while removable Swoosh logos and velcro patches further reflect both the calm, collected and energizing personas he embodies. An upside-down Nike logo on the heel and Gum rubber outsoles completes the design. Look for the Nike Air Force 1 Low “Travis Scott” to release on December 5th at Nike.com. The retail price tag is set at $150 USD.